Toronto-based FreshBooks, known for its invoicing and cloud-based Web service for small business, added an Android app today to its mobile offerings that already include an iPhone and iPad app. Small business owners are busy people, FreshBooks acknowledges in a press release detailing the launch of the new app and its features. Available for free on the Google Play store, here are some of the things Android users will be able to do with the app. Keep in mind you’ll need to have a FreshBooks subscription, of which a free account is available and paid-for accounts start at $19.95 per month. Use the app to create and send invoices with professional templates, so you can do so as soon as you’ve completed client work requests. You can also check to see if that client has viewed your invoice and use your phone’s address book to send invoices out. 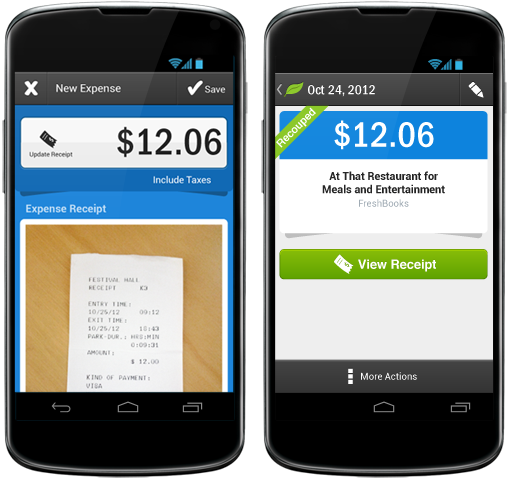 Use your Android smartphone’s camera to take a picture of a receipt and store it in the FreshBooks cloud for your records. You can then attach receipts to your invoices for those times you’re billing clients for expenses. 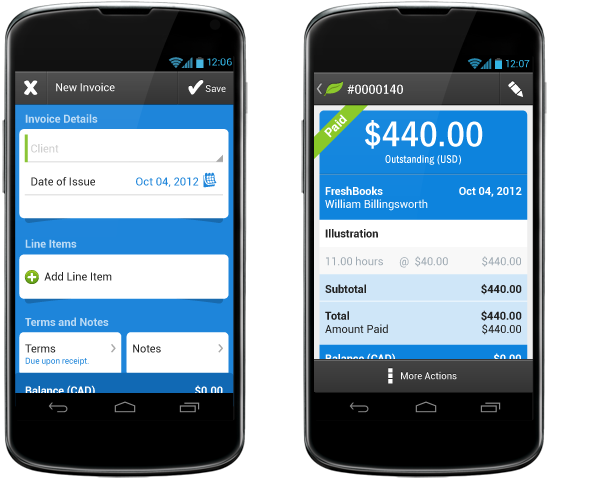 Or you can automate expense tracking by linking your bank account to your Freshbooks account. 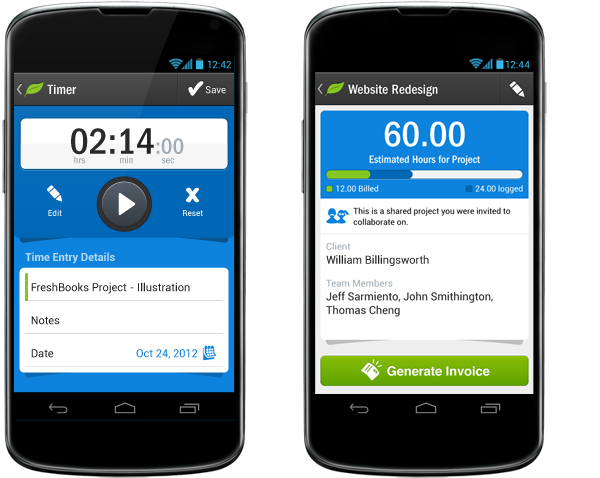 Use a built-in timer to track time working on client projects so you can bill accurately. Or you can track a whole team’s time spent on a project with team timesheets, and compare the time spent against what’s budgeted for the project. So far the app has received six reviews, all of them rating it five stars.